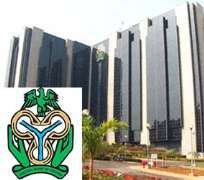 The Central Bank of Nigeria (CBN) yesterday said it has resolved disputes worth N20billion that arose between deposit money banks (DMBs) and their customers across the country, adding that it has done well so far at putting measures in place to check frauds in the banking industry. Its Head, Payment Systems and Oversight, Musa Itopa Jimoh who spoke during a training programme organised by the E-Payment Providers Association of Nigeria (E-PPAN) for information communications technology (ICT) reporters in Lagos, said though there are challenges on the way, the achievements so far recorded by the apex bank in the area of putting in place dependable payment platforms far outweighs these challenges. He said complaints received from bank customers by the apex bank are usually treated diligently, adding that this has led to the resolution of customers' complaints in relation to the use of ATM which financial value he put at N20 billion. Director, Banking & Payments System Department at CBN, 'Dipo Fatokun who made presentation on Understanding the Policy of e-Payments in Nigeria, said payments system is the entire arrangement of instruments, procedures, regulations and laws governing institutions, inter-connected networks of hardware/software and communications technology facilitating transfer of monetary value between transacting parties. He identified the e-payments objectives of the apex bank to include elimination of delays in the payment process; enabling the processing of payments on-line real time; minimising people interaction (contractors and government officials), adding that this means less human interaction with the system value chain. 'It improves controls and supervision. The relevant systems control is embedded, audit trail of transactions maintained for ease of oversight/supervision; improves process efficiency and effectiveness and allows for Straight Through Processing (STP) of eligible transactions,' Fatokun said. According to him, some of the scope of the initiative covers government supplier payments; person-to-person payment (mobile phone); salary and pension payments for organisations with more than 50 employees; consumer bills payments (using ACH debits); e-collection of taxes at all levels of government (individual, company - taxes includes value added tax (VAT), withholding tax and others. He identified economic constrains and cash culture, public acceptance of innovations, admissibility of electronic evidence in court and infrastructure (power, communication, roads and other means of transportations); network connectivity, arising from Nigeria Interbank Settlement System (NIBSS), switches, banks and telcos; and unavailability of financial services 24/7 in remote locations as some of the challenges facing the initiative. - The Nation.